Utilization review jobs are all the rage in the non-clinical world, and for good reason. The utilization management field allows you to leverage your education, experience, and licensure as a rehab professional—without dealing with the physical and emotional burdens of direct patient care. 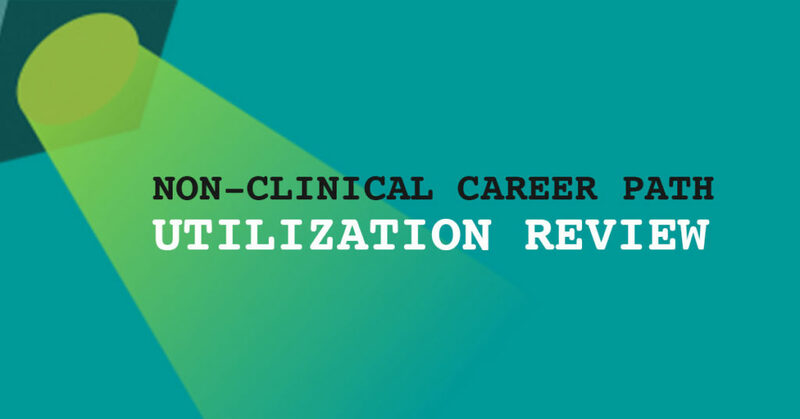 If you’re an OT, PT, or SLP professional looking for a fulfilling career path that doesn’t involve direct patient care, utilization review might just be the right choice for you! Simply put, utilization review is the process of looking carefully at how healthcare benefits are being used. UR generally refers to an insurance company (or “payer”) reviewing the services delivered by a healthcare provider—then determining whether those services fall under the coverage of the healthcare plan in question. Simply put, utilization review is an insurer’s way of making sure that a patient’s insurance covers the physical, occupational, or speech therapy services he or she is receiving (or wishes to receive in the future). Why is UR used in PT/OT/SLP? Insurance companies use utilization review in order to confirm that the therapy services being delivered are actually covered by the healthcare plan, and also to ensure that patients receive the services they are owed as plan members. The primary goal of someone working in utilization management is to help manage the care the health plan member (meaning the patient) gets through their benefits, so that patient can return to his or her normal daily tasks. A utilization reviewer ensures that patients receive appropriate care—but not excessive or inappropriate care that exceeds their benefit (healthcare plan). What’s the difference between utilization review and utilization management? In general, utilization management is the umbrella term that comprises case review, appeals, denials, and tiering. All of these terms are part of managing an insurance member’s PT benefits. The primary goal of utilization management is to see that a member’s benefit is not abused, and that it is used appropriately when it is really needed. Technically, though, “utilization review” typically refers to the review of services that have already been delivered, while “utilization management” often refers to the review of coverage for future medical services. How do physical, occupational, and speech therapy professionals work in UR? Many insurance providers enlist the help of utilization reviewers—often called physical therapy (or occupational or speech therapy) reviewers, case reviewers, chart reviewers, etc.—to perform chart reviews and help determine whether coverage applies to specific cases. Some companies operate as third-party managers, and other payers perform their own utilization management in-house. Some hospital systems also have their own utilization management teams. If you work for a third-party manager, health insurance companies contract with you to take care of their utilization management for various benefits. These third-party management companies have contracts with plans from almost every region of country, including commercial, Medicare, and Medicaid plans. Most of these health plans start with management of other medical specialties, and then add PT/OT later. On the provider end, a request is submitted for PT, OT, or SLP care that is to continue. Each authorization is valid for a certain time period. (Typically 30-60 days for ortho and some neuro, and up to 120 days for developmental pediatrics.) SNF, IRF, and LTAC pre-service authorizations are usually approved for three days, and reviews can take place as frequently as every seven days within an active plan of care. Only physicians can deny authorizations. Once the visits are used, if the provider wants more visits over a new time period, they need to send a new request. Interesting work. Getting to see clinical notes and courses of care from all over the nation can be very eye-opening. Fulfillment. Being part of an effort to avoid fraud is a wonderful feeling. Flexibility (and possible work from home). Roles can be flexible, and are often remote. Lots of people work 15-20 hours with UR, and also work part-time in a clinic, and you’ll find quite a few parents with kids in school. Many organizations will allow you to work flexible hours to accommodate kids’ schedules. Depending on the company, working from home might become an option, or even be an option from the get-go! Less taxing overall. Utilization review is less physically and emotionally demanding than patient care. Good pay. The pay tends to be about the same as clinical care, so you don’t need to worry about pay cut when you leave the clinic—unless you’re making bank as a clinician. Depending on the company you work for (and how many years you’ve been in practice/which setting you’ve been in), pay will be comparable to what you’d make as a PT. Stable work with great growth potential. Utilization reviewers are being hired like crazy as payers work to prevent insurance fraud and ensure proper use of benefits. No direct patient care. If you’re looking for a truly non-clinical role, UR/UM is ideal for you. There’s zero actual patient care, but you’re still very much using your degree. Predictable. Utilization review professionals work set hours. If you’re to be working from 8:30 to 5:00, those will be your hours. No staying late to complete documentation. The tasks themselves are predictable, as well. You’ll be doing what you were hired to do, without unexpected drama! Relative calm. UR jobs tend to offer a calm and predictable schedule. Still using your degree/license. If you’re sensitive about “wasting your degree” (which isn’t the case, but still), this route could great for you. Upward mobility/security. Utilization review is a growing profession, and these jobs tend to be very secure, with plenty of growth opportunities. Task-based work. You check off tasks and leave work at work at the end of the night. Red tape. Because many utilization review jobs are in large organizations, the work environment for these roles is often very corporate sometimes even a bit political. Change can come about slowly. For the same reasons, if you want an answer or change, you might have to go four or five rungs up in the company to get answers. Can be depressing. It can be a bit demoralizing to see poor treatments and practices. Because you see lots of charts/notes/treatment styles from across the US, you see the worst of the cookie-cutter treatments. Think 3x/week for 12 weeks for people, regardless of their diagnosis. Similarly, it can be upsetting to deny treatments to well-meaning providers who are treating outside the scope of a patient’s benefits package. Can be frustrating. Sometimes, you’ll get an irate provider on the other end of a call and you have to explain why their treatments are not covered by your employer. It leaves you in the position of being the messenger of bad news. Must have a clinical license. In most cases, you must be a PT, OT, or SLP, but exceptions are made in some companies for assistants. If you didn’t pass your boards or are foreign-trained and don’t plan to become licensed in the US, it can be tough to land these jobs. Keeping track of details can be tough. Health plan regulations get complicated, and many UR organizations contract work for many health plans in several states. Each health plan and each state have different rules and regulations, so trying to keep it all straight can be very difficult at times. Productivity still matters. 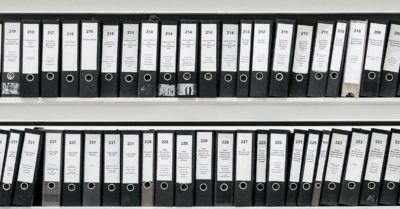 Some companies have formal productivity rules (called “quotas”), where you have required numbers of cases to review per day. The ones that don’t still typically track some sort of productivity to prevent slacking. Can be lonely. If you work from home, it can feel isolating. If you work onsite, it’s a different vibe than the constant chatting of the clinic. Repetitive. While many UR jobs have tons of different types of cases, you’re still reviewing charts all day, every day. For some people, that type of predictable work is a blissful concept. For others, that sounds mind-numbingly dull. Lots of sitting. Yes, that’s a big change for the super active therapists out there. That said, many workplaces have become savvy to the risks of sitting all day, and you can usually find employers that are willing to spring for a stand-up desk. If you work from home, it’s highly recommended to invest in a stand-up desk. Occasional weekend/evening work. Some insurance plans are open on the weekends, so you will sometimes need to work outside of the normal M-F days. These roles are generally salaried, and you can sometimes find your days stretching longer than eight hours. What is a typical utilization review salary? Generally speaking, UR/UM professionals will earn about what they would make as a treating clinician. There might be a slight increase in pay or decrease in pay, depending on the setting in which a clinician has most recently worked. Most utilization review roles have required yearly reviews with pay increases, as well as opportunities for bonuses. Generally, $68,000-87,000/year is about average (with standard benefits package). What is a day in the life like as a utilization review professional? If you’re looking for a change from the physical demands of a clinical rehab job, UR might be the right fit for you. But there are a few things to keep in mind. You’ll be spending lots of time at a desk! Much of your day will be spent looking over information that a provider sends for pre-authorization or retro-authorization, and then deciding if their request is approved in full, in part, or denied. That decision is based very heavily on a patient’s functional presentation, and whether the patient is making progress. You might start the day by logging into the computer system. You will check email messages and look at your calendar to see if you have any scheduled peer calls with providers (therapy professionals, in most cases). Much of the day is spent pulling up cases and reviewing the information provided to support continued PT, OT, or SLP services (depending on your discipline). A utilization review PT, OT, or SLP will usually get a few peer (provider) calls each week. 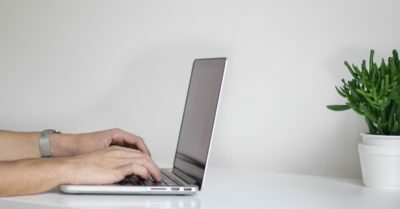 This involves calling a provider and trying to address their questions—and those questions usually revolve around a reduction or denial of visits. Peer-to-peer reviews (P2P) are between two physicians, or they can be between a nurse practitioner or physicians assistant and a physician. These calls can also be appeals review in nature. If a therapy professional’s claim is denied, they can appeal for reconsideration, resulting in a (sometimes uncomfortable) phone call. 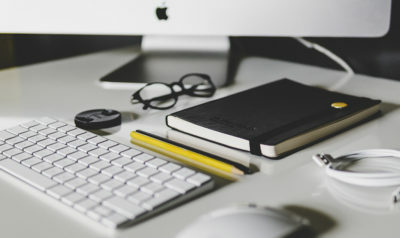 Do utilization review professionals work remotely or onsite? This really depends on the company. Some UR jobs are remote, and some are onsite. The job listings will typically say. Non-Clinical 101 goes more into depth and has a list of which companies are remote. What type of growth is there in a utilization review/management role? As you get your feet wet, you will often get pulled into internal projects. For example, you might work on creating best-practice standards for review, or creating clinical guidelines for a specific type of practice (ortho, neuro, etc.). This might involve looking up best peer-reviewed treatment practices per diagnosis (think JOSPT clinical practice guidelines, Cochrane database, systematic reviews, etc. ), and creating guidelines that would be used to support the reviews performed in your role as a UR/UM specialist. What type of person would do well in a utilization review job? Anyone going into utilization review should care about PT, OT, and SLP benefits being used appropriately, ethically, and at times minimally. You need to understand the true value of a patient using a home program. If you are one of those PTs that think the more visits the better, this likely is not the job for you. Having an understanding of the difference between physical therapy for medical need and just feeling better is key. An understanding of current best practice and recommended guidelines. This is a job where experience really does matter, but not just letters after your name. If you have a specialty, great. If you’ve got a wide breadth of experience, that’s also great…maybe even better. The ability to be decisive and analytical, and not overly emotional, is helpful. People who can handle conflict and stay calm to resolve situations, even when a frustrated provider calls, will do well in these roles. Those who have a good understanding of the most up-to-date clinical practice guidelines will do well. For example, understanding how the use of standardized outcome measures like LEFS, DASH, and ODI are used is key. Those who can professionally debate, without losing their cool, will excel in these jobs. Interpersonal skills, such as staying calm under pressure and effectively negotiating, are very helpful. Understanding what a health plan is meant for is key. If you’ve done any claims processes or authorizations, auditing, etc., that will help. What type of specializations are needed to go into UR? While there aren’t specific certifications required to become a therapy reviewer at this time, this could easily change in the future. Per the link below, the National Association of Independent Review Organizations (NAIRO) has released a roadmap to creating a stringent clinician credentialing process. This can be a very good thing! Some organizations are already starting to look for clinicians who have some sort of certification through Utilization Review Accreditation Commission (URAC). While it’s not required at this time, certification through this organization certainly helps your resume stand out. Becoming a utilization reviewer is easier if you have a few skills under your belt, as well as a good amount of experience. Some companies prefer UR professionals to have in-depth knowledge in one area (pediatrics, for example), while other organizations prefer to hire therapists with a wider breadth of experience. Can a PTA or COTA have a career in utilization review? It depends on the company. While most companies prefer to hire “full therapists” (yes, that term is annoying, I’m sorry), there are a few utilization review companies out there, which I have noted below, that do hire assistants into UR roles. How does one land a utilization review job as an OT, PT, or SLP? Look at utilization reviewer job postings and get to know the language. Look at the roles and responsibilities and consider what you do in your current roles (or have done in your past roles) that matches the job description. Bill Daly, PT, is a denials coordinator with naviHealth. He recommends ensuring that you have a deep understanding of CMS guidelines before you apply for UR roles. Working from home or having a desk job can seem appealing when, frankly, you could use some help feeling happier in patient care. But the real way to find out whether you’d enjoy being in the utilization review field is to job shadow, land informational interviews, and take relevant courses to discover whether you find the work interesting. My favorite CEU sources have great information courses on documentation, compliance, and billing. These look great on your utilization review resume. If possible, become active in your local APTA (or AOTA or ASHA) chapter if you’re going into occupational or speech therapy-related utilization review jobs). Attend board meetings and take on additional assignments when possible. You might wind up organizing meetings and planning conferences, which will expose you to all sorts of people in the industry. Hackett also recommends attending billing seminars and conferences whenever possible. Don’t be shy about becoming more involved over time. It will be noticed. So few people volunteer, so those on the board are very grateful! If you are wondering how to find a job in utilization review or how to get started in utilization review, you’ll definitely want to join The Non-Clinical PT’s FREE Facebook job seekers’ group. You can also look on UR/UM companies’ own websites, indeed, Glassdoor, and LinkedIn. Word of mouth (networking) is always helpful, whenever possible. If you’re still in the clinic, go talk to the billing and auth people in the back office, and ask who does the utilization management for your practice. It’s time to tweak your non-clinical resume to highlight the right experience from your employment history. This is one of the cases where leaving your breadth of treatment on your resume is actually beneficial (as opposed to other non-clinical roles, where you want to minimize the PT jargon). Non-clinical hiring managers and recruiters won’t recognize PNF or NDT, but they will understand that your monthly task of auditing other therapists’ charts translates to being detail-oriented. Make sure your non-clinical resume reflects every bit of coding, auditing, and customer service-related responsibility you have held during your career. Review the qualifications listed in each utilization review job posting, and highlight how your experience and knowledge complement the job role. For example, you might want to play up your familiarity with ICD 10 and CPT coding based on your years of experience in multiple settings, or you might wish to play up your communication and customer service skills. Create a compelling letter that demonstrates that you’re the best possible candidate for the role! Make sure your cover letter addresses the company by name and portrays you as the best solution for their problem. Standard questions about strengths/weaknesses etc. Clinically relevant questions about how certain conditions should be managed. Why you want to leave clinical care and crave the change. Brittany Ferri, MS, OTR/L, CLT, the OT utilization reviewer at Fidelis, stresses the importance of asking your own questions about the specifics of the role during the interview, especially if it’s your first non-clinical job. “My company did a good job of answering my questions and making sure I was comfortable with the change of pace involved with becoming a utilization reviewer,” she explains. Is utilization review right for me? This article has delved into what UR is, but whether it’s right for you will depend on many factors that are unique to you. As with any career change, you’ll want to spend some time assessing your strengths, talents, and interests, and line up plenty of informational interviews. Bill Daly, PT – Denials Coordinator at NaviHealth . Here’s his spotlight! Brittany Ferri, MS, OTR/L, CLT – Utilization Reviewer at Fidelis and freelance writer. Here’s her portfolio. Aaron Hackett, PT, DPT, CCI, STMT-1 – , Physical Therapy Reviewer at EviCore Healthcare, Owner, Aevitas Physical Therapy and Wellness (www.aevitaspt.com), and creator of AWittyPT.com (a super comprehensive website filled with info about UR and humor). Here’s his spotlight! Cindy Rapp, PT, MPT, OCS – The first UR professional I ever knew! Her work involved collaborating with the RN Manager, PT supervisor, owner, and billing department to make sure that the PT, OT, and SLP paperwork was legal, ethical, and reimbursable. Thank you so much for this wonderful resource, Meredith! After 20 plus years as an OT(peds, geria, school-based) I have long wondered how I can apply the knowledge I have gained in those different practice settings. Hi Aileen! Thank you so much for the kind words about the article 🙂 There are so many options for someone with your amount of experience. UR/UM would be a great choice for you, though, given that you have so much variety in your clinical background. Companies love to see variety in setting and patient population in their reviewers. Best of luck, and please keep me posted on the path you take! Thank you Meredith. This was well done. This is something I think I might be interested. Are there any companies that just hire part-time? Thank you so much for this well written article. A lot of my questions were answered as it’s very thorough. I’m sure it’ll help many therapists. Hi Dipti! Thank you so much for the kind words! I have some suggestions. I’m a PT (30+ years clinical experience, outpatient). About 10 years ago I decided I wanted to go into fraud investigation because through my entire career I was sick of the slime that was putting the bullseye target on we providers. The healthcare fraud industry is dominated by nurses (many times with only a few years experience!). It’s not as easy to get into as I thought, but I haven’t given up. So I went ahead and got my certified fraud examiner’s certificate through the ACFE (exam was brutal, but I passed it on the first try). Still, after 2 years of applying (and not landing one job, because…they want nurses! ), through my network two highly regarded investigators suggested that I seek my medial coders certificate (CPC) which I am doing now (VERY time consuming, even when working part time!). You can go far with a fraud unit, with these credentials, as well as adding a Compliance certification. We dot our I’s and cross our T’s relentlessly in the clinic to get a fair reimbursement, yet someone is stealing to make us beg for the pennies we are reimbursed. Let me tell you something, in 30 years, reimbursements have gone DOWN because of fraud. All of you “new grads” (I include anyone working clinically 10 years or less) are coming out with higher paying salaries due to the insane tuition which you paid for education (I went to a private college for my PT degree, paid LESS in one year than most state university charge their freshmen, so I don’t blame you! ), so clinics and hospitals are “doing odd things” to increase their bottom line. The compliance and fraud industries have their sites set on US as providers, even though it happens elsewhere. It’s gotten so bad that morally I’m getting out of clinical work (after having my own business as an independent contractor for 21 years) as soon as possible (hopefully this year). Anyway, I heard fraud mentioned in the article, and thought I’d chime in. Physical therapy is where so much of the money (and waste and abuse ) is, and as PT’s WE sit in the catbird seat. We see who really needs it (and can’t get it because of their scant coverage), and those who DON’T need it but take advantage of it anyway (Medicare USED to be like this…no longer because they are cracking down on fraud). We also get pressure from employers who see that if we are not charging enough per visit, or cranking out numbers like a conveyor belt (we give patients what they need, not what they DON’T need), we get grief from all sides. But before this, I would HIGHLY recommend getting some serious clinical experience in the most variety settings you can. 5 years PT experience, you are only getting a clue of what goes on. 15-20 years, is more realistic, and you’ll be looked at more favorably in the “other” professional world (believe me, it’s a DIFFERENT world out there vs our own PT haven). In the meantime, look to furthering your credentials and skill sets in other areas and it will help you pursue some amazing pathways when you are ready. Thank you so much for your insight! This is fascinating! I would love to learn more about your journey, if you’re interested in sharing! I graduated 9 years ago, and from what I can tell where I live (Southern California), starting salaries for new grads are decreasing, not increasing. Sad, but true! The cost of education is skyrocketing. It has nearly DOUBLED in the 9 years since I completed school, but salaries aren’t what I made (and I wasn’t rolling in it as a new grad, trust me!). PT schools are springing up like mushrooms after a rain, and it’s saturating the market across the nation. I’m getting off topic, but we clearly have some big issues we need to tackle in the profession. I’m thrilled to hear that you’re taking a creative direction in your career to help solve some of the biggest ones! Cheers! Wow you hit on a great topic. In AZ, I’ve noticed the number of schools increase here (for the longest time, one….now in the last 5-10 years, 5 in a “small” state compared to CA!). BTW, I graduated in 1988 from Mount St Mary’s College; there were already several schools back THEN (although all competitive), it must be a real mess now! I think the market saturation is because just what you said; schools can charge up the wazoo for tuition (for an “impacted” and limited program), so they do it. It’s really messing up the field now, and before long, you’re an “old timer” in under 10 years! (especially topping out in salary…unfortunately reimbursements are going DOWN too). What got me thinking about going into fraud investigation was my cousin, a retired detective in Downey. He went on to investigate Medicare (I even helped him on my own mom’s over billing case when she had her knee replaced! ), as well as Disability cases. He told me, “Hey, you would be so perfect for this!” From what I understand, there is a main/regional OIG office (that handles Medicare fraud) in So Cal (I’m thinking around the Santa Ana area? As a matter of fact, it’s headed by his ex detective partner!). My cousin encouraged me to look into the OIG (Office of Inspector General) and go that way (I couldn’t get into it from here in AZ, too remote from their regional office at the time). All they require is a Bachelor degree (we all have that in 10 folds). I’d still keep an eye on the CMS website and see where and how they hire (it’s all Federal, so it’ll likely be through USA Jobs). They might even have compliance and utilization review positions all over the country. What surprised me though was I thought I’d be a shoe in. Nope, a few more skills needed (because, competing with the nurses), so that’s why I’m going after the Certified Professional Coder (where you learn more about coding/billing in all medical areas), and eventually, will look into Compliance to further enhance the investigative skills. A long hall, but Meredith you are (and anyone else who’s been “out there” for awhile) in the right time-frame to get those additional “initials” after your name (a pain, I know, lol), but the learning is endless and keeps it fascinating! Let’s just hope that salaries can maintain enough to keep up with the extracurricular education, it can get pricey! AAPC has the certified coder programs, watch for their monthly specials…I got mine early in the year, best month seems to be around February…but keep an eye out on them. They regulate the Compliance cert program too. Yes, this is extremely helpful! Thank you so much. With all the schools opening and flooding the markets, people will sometimes have no choice but to pursue alternative uses for their degrees. I really appreciate the time you took to type up your story! I’d love to spotlight you on the site sometime, if you’re ever interested! Thanks again! My name is Tianna. I am pretty much a new grad PT. I have only been a practicing clinician for two years and I currently feel let down by my profession. In the 2 years I have been working, I have literally worked in almost every setting and it is all the same. Ridiculous productivity requirements, pressure to keep patients on with certain insurance even though they have plateaued, and not to mention the after hours documentation that would leave labor lawyers wishing they could have a PT as a client. I know I am new to the profession, but I already feel I cannot continue. I feel so drained at the end of the day that I have nothing left for my daughter and my husband. I also am currently doing a course to get my CPC and it is VERY time consuming, but I feel it will be a good change. Thank you for your comment. It has given me motivation to finish. Hi Tianna! I totally understand…I felt the same way. No setting was making me happy, and I felt so embarrassed being so new, yet so unhappy with my career path. I’m glad you’re on the path to getting your CPC! Please keep us posted on your career journey, and let us know how we can support you! I should add, and second the suggestion Meredith mentioned above in her article. By all means get a stand up desk! What I use at home, and we have even used in one of the clinics I worked, was one of those kitchen rolling carts with the wooden platform from Costco…about $100, and you can roll it away when you’re done. (great for us shorties who are around 5’5″). I got a small adjustable platform to line up my laptop to keep the wrists aligned. Even when I do sit, I’m on my ball; but before long, I need to stand. Just about everything (with exception to a few cases) a “non-clinical PT” does is mostly stationary (it will drive you absolutely NUTS). Back when I did FCE’s for 2 years, the report writing took endless hours. Do yourself a huge favor, get a stand up desk, a mat to stand on, and you’ll be fine! Hi Meredith. I looked into the URAC certification & they will only certify people within organizations not individuals. Not sure if I misunderstood the recommendation in this article to become certified in order to boost your resume in applying for UR roles. Is there another organization that will certify individuals? Thank you in advance. Hi Kendra! Thanks for your comment, and that is a great question! I included that article as a window into what might be required in the future, but right now, there’s no necessary certification to become a utilization reviewer in the rehab space. That said, there are a few courses that do boost your resume. If you take MedBridge (or physicaltherapy.com/occupationaltherapy.com/speechpathology.com) courses on billing, etc., that always looks good. Also, there’s a course on nurse.com that many therapists have taken and reported helped them during job applications 🙂 Hope this helps! Reach out anytime with other questions.